Roughly a couple of days from now, Karnataka will be voting to elect its next Assembly. 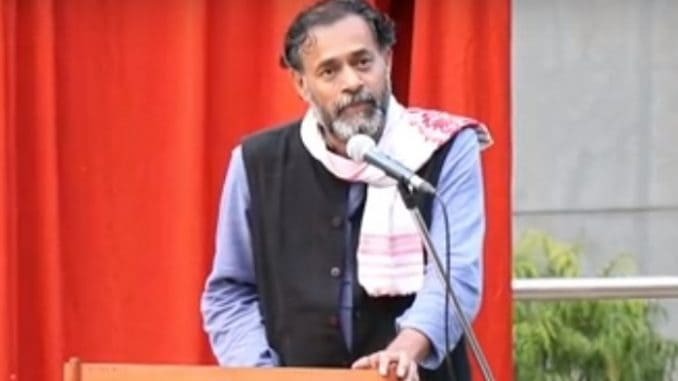 One of the most conspicuous features of the high profile state election this year has been the participation of several new players other than the traditional big names, one among them being the Swaraj India party led by psephologist-turned-politician Yogendra Yadav. But how does a party, founded on the premise of alternative politics and with its origins largely in the political narrative of the northern part of the country, plan to make a mark in a southern state, where the dominant dialogue has been around the legacy of the bigger national parties? And with its clear thrust on issues of the marginalised and rural populace, how will Swaraj India break into the mindspace of the urban voter? Yogendra Yadav answers these and more questions in his candid conversation with Meera K.
So how does Swaraj plan to build itself as a ground up locally branded party than as an import from the north? This issue has been there with AAP and other parties also but broadly how do you build it as a locally-oriented brand and give it a flavour of the south? YY: One great fortune of Swaraj India of Karnataka is that it is not an offshoot of AAP. Swaraj India in Karnataka is primarily a combination of three components of Swaraj Karnataka. 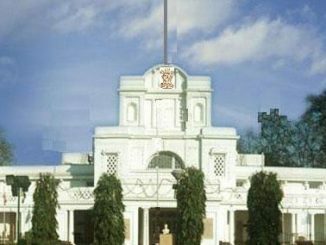 One is the Karnataka Rajya Raitha Sangha (KRRS), a 25-year old entity in Karnataka dating back to Professor Nanjundaswamy’s time. The mainstream from KRRS tradition has fortunately merged with us, including people like Puttanaiah, Ganghadaran, and so on. The second organization is the Dalit Sangharsh Samiti which has splintered into many over the last two decades, but the finest substream of the Samiti, led by Devanur Mahadeva, is with us. Devanur is our leader, our mentor in Karnataka. The third component is “India Against Corruption.” Then,of course, there are people who have joined afresh, without any such background. Because the first two streams are integral to us, in some ways Swaraj India is an organic growth of Karnataka which you can simply see evidently. We just released our manifesto yesterday. It is not just written in Kannada. It is conceptualized in Kannada, of which we are struggling to get an English translation now. So it’s a very different thing. We may not be so fortunate in every other state, but our philosophy is that India resides in our diversity; thus any attempt to build centralized politics is bound to be counterproductive. It’s not just a regional flavour that we need. That “Indianness” resides in regionality. That’s not my insight. It goes back to the Indian Freedom struggle. It is not surprising that Punjab, Gujarata, Maratha is in our National Anthem. If I may add a little personal note, I’ve had a different kind of connection with Karnataka. My ideological Guru Kishan Patnaik was a very regular visitor to Karnataka. Karnataka has had a very strong socialist tradition. So among people who have been inspired by our Professor Nanjundaswamy, in terms of literature, people like Ananthamurthy have also been an influence. In politics, people like Gopala Gowda have been an influence for us and more intimately, DR Nagaraj was as close to an intellectual collaborator that I had, who introduced me to the subtle niceties of Karnataka’s intellectual tradition.So I look to Karnataka for intellectual inspiration. It’s not for nothing that this state has eight Jnanpith awardees. You talked about the Farmer’s Organizations like KRRS. So the focus has been rural so far; is there a plan to build a focused urban pitch that can appeal to the masses which is like every aspirational kind of community here, especially in Mahadevapura. You know, not just say, let’s just look at sustainable or non-consumerist approaches. There is a given kind of populace here. How do you build that sort of narrative that is very clearly urban, like let’s talk about traffic, garbage or jobs and that sort of thing compared to where you have come from. YY: I mentioned there are three substreams. The third is India Against Corruption which was largely urban and some of the urban activists or ecological activists have been involved with us. Not so much in Bengaluru but in Delhi, that entire unit is urban. The challenge of urban governance in India is that right from the constitution dying down to municipal rules, we have a mess. The 73rd amendment was a great amendment;74th was a lousy one. They didn’t know what they were doing. So beginning with constitutional amendment we had problems. That maze needs to be sorted out. Ecology and environment are not just issues on the sidelines for urban India. It is very much a central issue now. 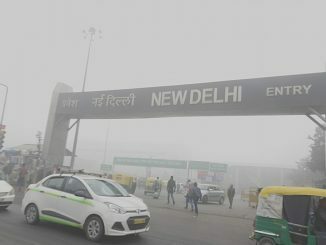 Look at the state of Delhi. Now that 14 of the most unclean states are in India these things are beginning to make a difference and people are beginning to realize that. It’s just that right now we are at a very primitive stage of ecological consciousness where it has begun to strike us that maybe it is an issue. Yes, my children have asthma and it has something to do with the environment. But they have not yet begun to relate the effect with the cause. In Bangalore, aspects related to environment, urban planning etc are becoming much more mainstream. This narrative that environment is important – how do you build that? It is a curve and every city has to go through it. How do you see this panning out in other cities as they grow, with India becoming more and more urbanised? YY: We must remember urbanity is not new to India. We have 5000 years of urban culture. Urbanity and cities did not come to us from the west. They were very much here. So the question is which kind of cities? The idea that these mega metros with impossible living conditions is our future is an idea which we have to reject. We need different kinds of cities. We need different kinds of ecological plumbing of the cities than what has been done so far. We must not make some 10 or 20 million people stay in some 100 sq ft area if we can help it. We don’t need such urbanisation. We don’t have to push people out of rural areas. 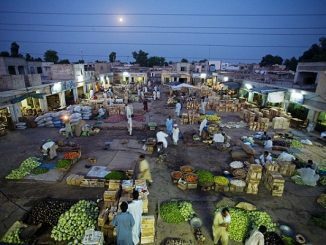 People are being pushed out of rural areas because we fail to and refuse to offer them even half as decent a livelihood and opportunities than what they expect to get in cities. Start offering them that. They would not wish to live in your slum if they had proper housing in their village. So yes, we need to do that. Having said all that, the problem of metros are here to stay. So then, what do we do? To my mind one of the key solutions would be to rework the entire governance system. I think the trouble in urban governance is that those who take final decisions about what happens in our cities are not accountable to those cities at all. You can wreck Bengaluru and be re-elected as Chief Minister again without one iota of difference to your political career. You can squeeze Mumbai of all resources and remain the Chief Minister of Maharashtra. The real problem in our urban governance is this. Our municipal governments are very, very weak, completely at the mercy of our state governments. No funds, no functions. These are not my words. This is how the Bharat Sarkar describe this. Secondly, the quality of active urbanism has been poor. So, it is all the more easy for the corporator or chief minister to take the people for a ride. That is where I look for the type of activism we get in cities like Bengaluru. In the last few years, it has grown and what impresses me about Bengaluru is the activism around the environment which is so rare to see in most Indian cities. This is not to say Bangalore’s face has changed as it is still only a small fraction of the city, but those small fractions are at least here. So as a movement, as a party, why haven’t you spent enough time working at the grass roots taking up these issues? Isn’t it too early to get into assembly elections? Should you have contested corporation elections first before contesting the assembly election, because you’re more of a grassroots kind of organization? YY: You know, in politics, that logic of scaling doesn’t work this way. The logic of scale operates very differently in politics. So unfortunately we don’t have a sequential option. First work on the ground, then project yourself as electoral choice, or first win the municipality and then win assembly, followed by parliament — nfortunately, the logic of political viability doesn’t work that way. The threshold of viability is so high in our country that you can break it only with some metro effect. This is how the system is wired. There’s nothing we can do about it. It is only with one big metro push that you have a one-in-a-hundred chance of scaling up that wall. The idea that you would be able to scale that wall up bit by bit doesn’t work. So yes, we know that we are in for a long haul. And thank god for that. Anything that were to produce overnight chamatkar would be cheating. Let me just come to a couple of questions about the party. You were talking about an internal democracy right? Are Indians mature enough to accept internal democracy as a concept? YY: Look, internal democracy in a political party is not a very easy idea. I can tell you from my own experience that the trouble comes from within. There are situations in my party where I, as the national president, have to impose internal democracy. I will consult you and you will respond. You cannot complain later. As I mentioned we are trying. We are learning. More than internal democracy, the real problem is with personality cult. This is a problem that every democracy is moving towards and it has been compounded by the onset of media and 24/7 media. People want to look into the eyes of someone they are voting for. And they want to live under this illusion as if they have achieved a certain level of intimacy with that person looking into his eyes on a television screen. This is what’s happening all over the world and this is very seriously damaging the quality of our democracy. That is where I find far more difficulties in my own organization. We made a rule that we should not have photographs. YY: No, in general party things. No photographs please. And every three months, Prashant-ji (Prashant Bhushan) and I had to fight with others. So basically Prashant-ji and I were tyrants who were imposing this rule on others, telling them that they could not use our photographs. Give me one example of what you’re building through consensus, through a participative process, finally what was decided versus what your personal view has been. YY: With photographs, I lost the battle in the party. In the MCD (Municipal Corporation of Delhi) election, I said let’s not have photographs. But we had a series of meetings and it was voted out. They did use my photographs during the MCD elections, much to my personal discomfort. I am not the kind of person who likes it, but I was voted out on many issues. Fortunately, the ‘voting out’ occurs through a very pleasant process. In a very recent incident, which I can’t tell you about, we have been having these Whatssapp exchanges about what is to be done for the past 24 hours.. And we’ve all finally worked out a position which was something that was forced on us by volunteers. Not even us. Volunteers started a campaign in which they left us with no option except to take a public stand. And I think the volunteers were right in doing so. But it takes time. It’s not so easy. You’re right; people do want to take orders. Our psyche is still that we want democracy, but ideally we want someone to guide us. So what kind of people do you think should be joining Swaraj and how do you ensure that other parties do not infiltrate? YY: Fortunately, we do not have such a long queue in front of our office that we have to take too many people out. We are so tiny that many people come. And people who come are self-motivated, so we are lucky. When it comes to filter there are two or three things that we need. I once said that we need 5000 political sadhus in this country. So why sadhu and why political sadhu? A sadhu because he is detached from the pursuit of personal political problems which then gives you a certain perspective. Also a sadhu in the sense that someone who can reduce his or her needs or can live wherever required because in India, this life is not for sane people. You have to be insane or mad to opt for public life in this country. The minimum requirements are so high that no sane person should ever do this. So we need those insane sadhus. Dispassionate pursuit of power is what is required. Politics is shakti yoga. It is about power and yoga. If you only pursue power without yoga, then you are like any scoundrel who is out there on the street. If you do only yoga and are unconcerned about Shakti then you might as well go to the Himalayas. If you want to do both and pursue power for a purpose and are willing to accept the maryada of the yoga, then that is what we need. I mean you need to really go beyond your personal self-interests etc. The kind of ideology that the BJP or Sangh parivar, for example, represents is completely about destroying this country. My problem is not just that they are anti-Muslim but that they are anti-India. This country would be destroyed if we were to follow what they are saying. Those are the minimum filters. Honestly, the filters are not ideological. I really feel if we sit together, we can sort it out. In any case we are in the process of forging a new ideology for the 21st century. We should not tie ourselves down to ideologies of the 20th century. They offered us very partial solutions and to live with one of those corpses is to kill oneself. WHY? I want a bit of Gandhi, Ambedkar and Marx. Why can’t I have all? Marx didn’t limit himself to one person – he learnt from Feuerbach, Hegel and so many others. A new ideology for the 21st century is in the process of taking shape and the worst thing we can do is to put filters of 20th century. One last question for the psephologist. What do you think the results will be like? YY: I used to do that in my previous birth. And these days I wonder why I did it. You can be smart at opening bottles but you don’t want to be remembered as a bottle opener for the rest of your life. So I did that for a few years; people liked it,but I’ve forgotten it. As you say in hindi, “Pehle bhavishya batane ki kaam karte the, ab bhavishya banaane ki kaam kar rahe hai.” (Earlier we used to try to predict the future. Now we are creating the future.) I am very happy to be here. There are several reasons why the MSP has little to do with how much you pay for the food items you consume. Here’s a primer for the urban citizen, who invariably feels jittery when the government announces a rise in support prices for the farmer.